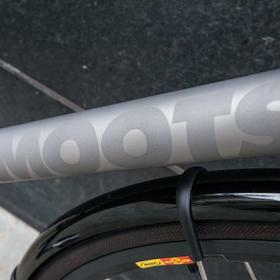 Adrian's Moots Vamoots is a classy all-rounder, prepared for winter riding with low maintenance Ultegra electronic and Race Blade mudguards. 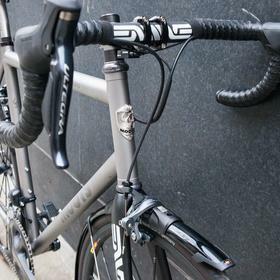 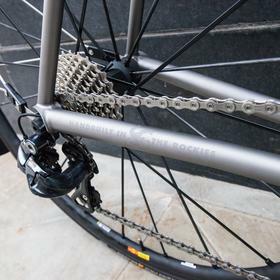 The Vamoots, with longer chainstays and a reatively upright position, give it a silky smooth ride, matched only by satin finish of the titanium tubing. 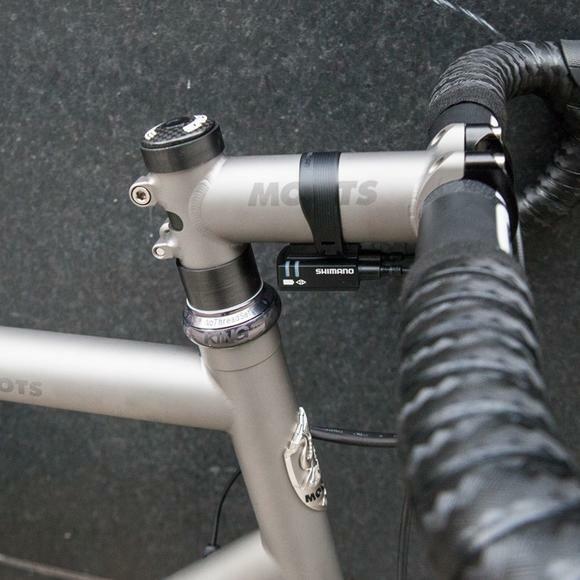 Moots use a glass-bead blast process to achieve this finish. 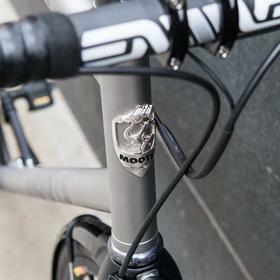 Adrian's gone for the etched logos, which add another texture to the overall effect. 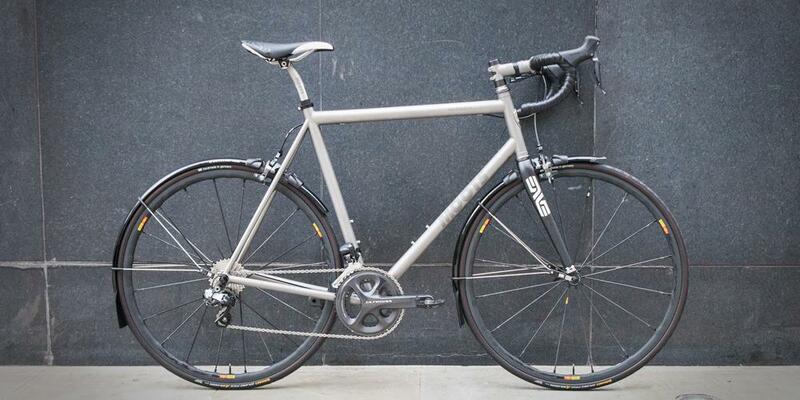 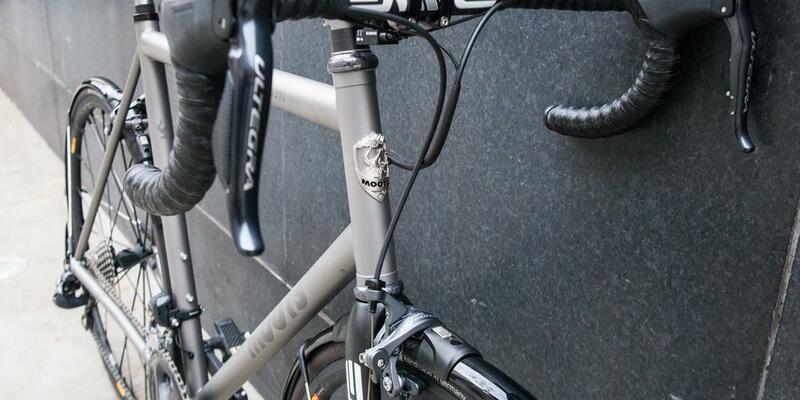 With Moots titanium stem and seatpost, there's a bit less room for other brands on this build. 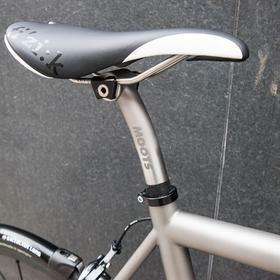 ENVE bars complete the cockpit, matching the black and white Fizik saddle. 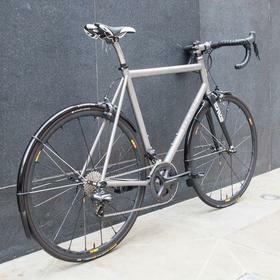 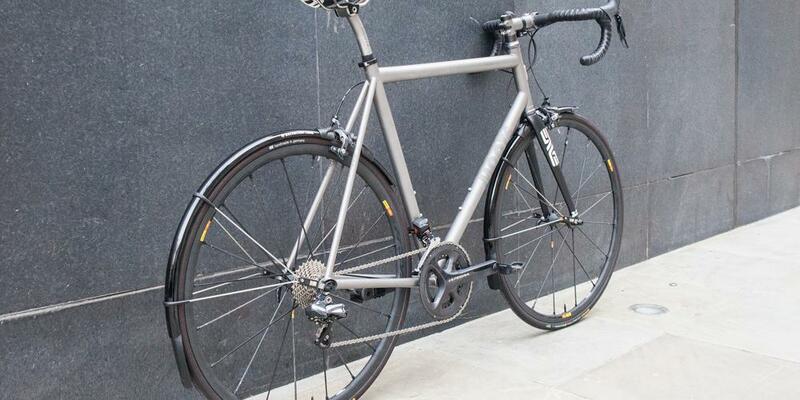 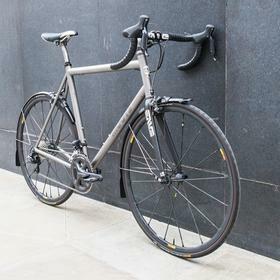 The Mavic Ksyrium R-Sys SLR wheels look great with the satin finish of the Moots ti. 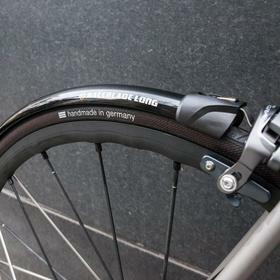 Their performance is unquestionable. 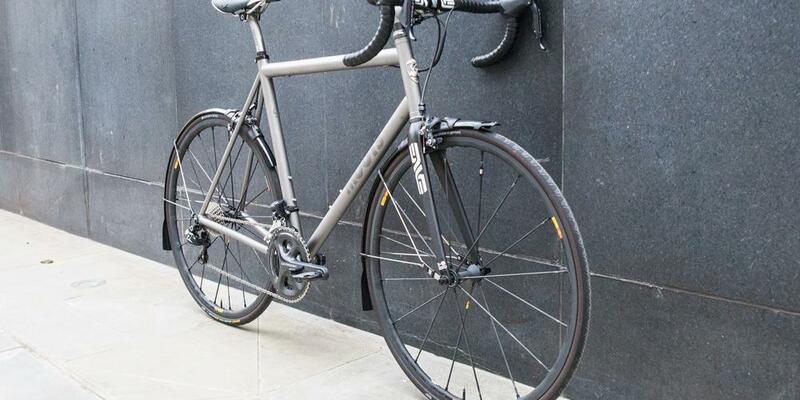 A great bike for all weathers that will last a life time.